When I signed up for three challenges last year, I thought I was really doing something. Wrong. I've seen other blogs sign up for and complete a lot more challenges. I'm often laughing at my naive early blogger self. Here's a quick update on my challenges and I'll post soon about the challenges I am joining for the new year. 1. 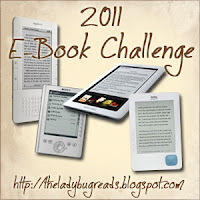 The 2011 Goodreads Challenge. Completed 78/60 so far this year. I definitely read more books than I expected to this year. I didn't actually think I was going to make it. Earlier in the year, my goodreads update was screaming at me that I was really behind. Come summer I really beasted this challenge and said "now what." I will be participating again in the coming year but I haven't set my new goal as of yet. Completed 17/20 so far this year. I'm pretty sure I will finish this challenge before the end of the year but I didn't expect to cut it so close. Historical Fiction is one of my favorite genres, so I thought it would be a piece of cake to complete. I didn't count on all the amazing book recommendations I would find on other blogs or by friends and family. It caused me to really veer away from what I thought I would be reading this year. It was very surprising and fun. I'm so excited by this unexpected turn of events that it has made a huge impact on the challenges I enter next year. More on that later. Completed 36/50 books so far this year. Epic fail. I will not be completing this challenge this year. After receiving my ereader, I only read books on it so I didn't expect this challenge to be difficult. I didn't account for the many giveaways I would participate and win or many of the book requests that I accepted. While, I do prefer to read book form when convenient, I can't help but feel disappointed in myself for failing in this challenge. I can't help it. I'm a perfectionist and if I say I'm going to do something, I will only be satisfied by getting it done. I've got to let it go though. I will be picking my challenges more carefully for next year. All in all, these challenges really made me excited when I joined the book blogging community last January (yes, it has been almost a year). I am super excited to choose more challenges and I hope to keep up with them better this time around. How did everyone do on their challenges this year? Have you decided on your challenges for next year? What advice would you give newbies like me this time last year? Girl, you did awesome! I cannot believe you are able to do all that you do while going to school. 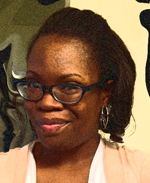 Hey I started blogging in January to! Don't be to hard on yourself for not completing one of your goals, it's all for fun after all. And well done for hitting your goodreads target, thats the only challenge I set myself this year and I made it to yay! it looks like you did pretty good to me!! You did pretty good. Especially with the Goodreads challenge. Congrats. I'm planning on being more realistic for next year's challenges as well. Sorry about the comments. I switched to Disqus because of the same comment problems but have come to realize that my layout is causing the conflict. I'm working on changing it, but if you click on the title instead of read more it works better. Wow that is amazing. And you were studying and blogging at the same time. I seem to be reading less now that I am blogging. I have no idea why. LOL!! I am trying to decide which one I am going to do in 2012. There are so many to choose from. Congrats on what you accomplished. I didn't do as well as I hoped either, but I have to look back and realize how much I actually did. Alexis I admire you for going for the gusto with your challenges. I kind kept mine to a minimum and very safe, and that's probably the only reason I completed mine this year. I hope to challenge myself way more for next year. But all things considered, especially being a LAW student, I think you did quite well. Good luck with your challenges for next year and congrats on a an almost year blogging. I think I might sign up for that e-books challenge for next year. I only signed up for 3 lol. I think I went wrong because I had such high numbers for each challenge. 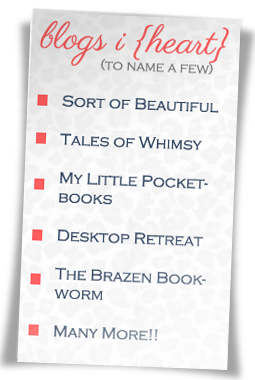 I can't believe I picked 50 books for the ereader challenge. Oooppsssyy! I added 5 challenges O_o. I know. But the difference is that I'm only reading 10 books for each challenge instead of reading 50 like I thought I would do with the ereader. Lol. I doing the dystopia reading challenge next year. My goal is 15. haha. I might be a bit optimistic. I'm so far from finishing the ebook challenge. I didn't come close but I recognize that I did much better with the others. Thanks! I hope to do better next year. I'm joining quite a few this year. Lol. I joined the TBR challenge. Haha. I think it is going to be difficult but seriously...I need to do something about my bookshelf. I have to start from somewhere. Blogging is soo time consuming that's why. Lol. I had no idea that it would be like that either. It's funny because I failed one and somehow thought it was a good idea to do more of them next year. I had a logical reason, I promise. I just. don't. remember. why. You are right. I'll try to look at it that way. Thanks so much! I look around and I feel like a slacker :/ I can be kind of silly I guess. It's hard there are so many amazing bloggers around me. Lol. I thought I was keeping it safe. Lol. Never again will I promise to complete 50 of any challenge. But thanks Jade. I know I can be hard on myself. Uhhh..yes...being a law student is really taking away from my reading time. I need to remedy that soon. You are right. Congrats on meeting your Goodreads target as well. I signed up for a few more this year but I'm not promising to read too many of any one type. So hopefully that will work out much better. I totally bombed on my challenges. LOL I hope I do better next year. Maybe I'll stick to just one or two. Congratulations on reading more books than you anticipated! You are in no way a fail. You did great on your challenges. I too neglect my E-Reader. The last time I picked it up was probably a week ago. There are a good many books just sitting idly in ebook space. I have set a goal to read 52 books next year. It's just a bunch of random books, both classics and popular fiction, that I have been dying to read. 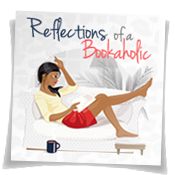 I am pretty excited about it being that I just started off as a book blogger. Maybe I will add another challenge, but for now I have just this one challenge. Maybe I will do an E-Reader challenge...hmm. I only signed up for one challenge this year and it was a disaster, I was supposed to read one book a month that was part of my TBR pile (it was the TBR challenge after all) and I think I just managed to write three reviews! How embarrassing! Now I'm weary of joining a new challenge next year. And on my GR reading challenge my initial number was 100 and I read over 200 books this year, but I kind of wanted to review 100 books, which I almost did, and considering that I started reviewing in March I think it was a great accomplishment. Maybe next year I'll make it!